The disappointed team of NCCF cooperators is planning to move court against the Ministry order whereby the Board was put in abeyance on what they see as frivolous charges leveled by the government nominee Vijay Kumar. ”Petitions are being readied and I will let you know once we file the case,” Virendra Singh vice-chairman of the defunct board Singh informed Indian Cooperative.” I am not alone, the entire elected board is a party,” he clarified. Have you heard that an elected board is put in abeyance rather than superceded till the pending inquiry is over? Singh asked. The correct course is to go to the Central registrar and go for arbitration. Virendra Singh sees Mr M K Parida , the IAS official who was once MD and who has been made Administrator once again as the villain of the piece. Parida has been blackmailing us for the last four years ever since the illegal appointments he wanted to make was objected to by the board, Singh charged. On the Indian Cooperative query on the charges of CBI inquiry against him Virendra Singh reacted sharply ”which CBI inquiry, where is the case and why have I not been summoned even once; it’s an attempt to browbeat me into submission”. When the government does not give a penny what siphoning off is it referring to, the former NCCF Chairman charged saying that he fails to comprehend the situation. 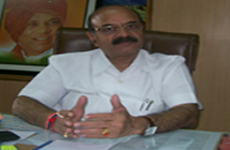 Readers would recollect that the Govt order issued last week read that “ That Shri Virendra Singh against whom CBI proceedings are going on for serious charges of financial irregularities and mismanagement during his previous tenure as chairman, NCCF which has been one of the reasons for supersession of the previous board of Director of NCCF, has been elected vice chairman of NCCF in election held on 06.02.2015 and Shri Bijendra Singh against whom CBI inquiry is going on charges of defalcation during his incumbency as director on the Board of NAFED, a Multi-state co-operative Federation, has been elected Chairman of NCCF. If the government has a stake in a cooperative what it usually does is to have its nominees on the board but it is not supposed to take the management in its hands, reminded Virendra Singh. Echoing Virendra Singh’s words Biscomaun Chairman Dr Sunil Kumar Singh , while quoting A.I.R 1983 Patna-114, 1989 P. L. J. R 846 said that no election of a board of directors can be set aside except by filing an election petition. It is well settled law that no election can be set aside merely on the suo moto assessment of a party or the govt. He further added only the central registrar has the power to set aside an election under section-84(2) of the multi State Co-op Act-2002.